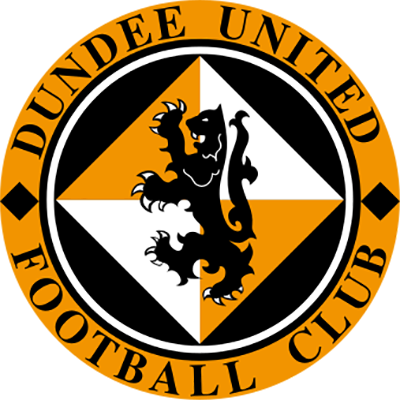 United rose to 3rd place in the Scottish Championship and made it three games unbeaten in the reign of Robbie Neilson with a 2-0 win over Dunfermline at East End Park. 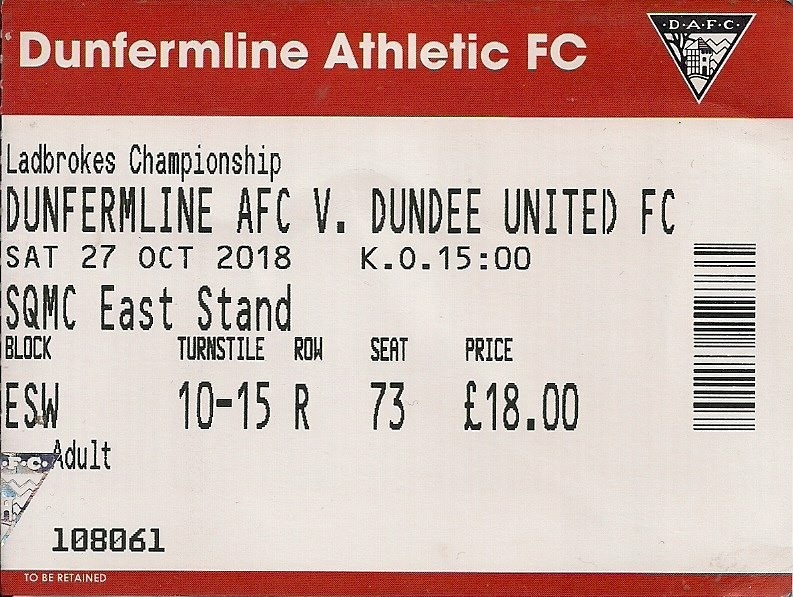 Dundee United’s recent record at East End Park was excellent, having been unbeaten in their last seven competitive games against the Pars in Dunfermline, a run stretching back to April 2007. However, the Fife team had prevailed in the previous meeting between the teams, emerging with a 3-2 win at Tannadice on the first day of the season. Given how well United had played in their previous game at home to Inverness Caledonian Thistle, it was no surprise to see an unchanged starting line-up for this game. Despite that, in front of a large and noisy away support of over 1800 United actually started the game rather nervously, with a few errors not being punished by the home side. In the fourth minute, the first chance came for Dunfermline after Paul McMullan had give the ball away which allowed Jackson Longridge the chance to cross, although Frederic Frans was able to clear the ball before the lurking Faissal El Bakhtaoui was able to take advantage. A minute later, Billy King also gave the ball away leading to a Dunfermline break, and Myles Hippolyte broke through on goal and shot from the edge of the box. Luckily for United, his low shot was well saved low to his right by United goalkeeper Ben Siegrist. At the other end, after that slow start Paul McMullan and Pavol Safranko were linking up well and causing problems for the home defence. It took a while for United to properly get going, with an easily defended free kick from Fraser Fyvie after eight minutes being all United had to show from the early exchanges. That began to change after 13 minutes as Safranko was only just unable to control a through ball from Fraser Fyvie, and a minute later Billy King had a shot blocked by the home defence before Fyvie shot just over the bar from the rebound. Former Dunfermline player Fraser Aird then had a go from a long way out, although the attempt was optimistic to say the least and the shot was blocked. A couple of minutes after that, Dunfermline were awarded a free kick 25 yards from goal, although Faissal El Bakhtaoui could only strike the ball into the United wall. United took the lead midway through the first half. Paul McMullan drove into the box, and although the ball was half cleared Pavol Safranko was able to regain possession on the United left, where we got into a tussle with Faissal El Bakhtaoui. Although there did not look to have been much of a foul, referee Steven Kirkland adjudged that Safranko had been fouled and awarded a free kick to United. The away side were able to take advantage of their good fortune when the free kick from Fraser Aird was met by the head of the unmarked Paul McMullan, who headed the ball past Lee Robinson at his near post to give United the lead with his first league goal of the season. El Bakhtaoui was booked after the goal for his protest towards the original decision. Despite that setback and their own poor form, Dunfermline responded positively to losing that goal, although their efforts were met with resolute United defending. A few minutes after the goal, the ever dangerous El Bakhtaoui fed Myles Hippolyte on the edge of the United area, but the Dunfermline striker could only pass the ball to Frederic Frans when attempting to square the ball to a team mate and the Belgian defender was able to clear. Five minutes before half time, Ben Siegrist did very well to claim a long free kick from James Craigen while under pressure from several Dunfermline players. The home side had their best chance of the game in the final minute of the first half. A long throw in from Myles Hippolyte on the right landed at the feet of Faissal El Bakhtaoui. However, his shot was superbly blocked by Rachid Bouhenna before the rebound fell to Lee Ashcroft, who could only hit the ball wide to ensure that United had a narrow lead at the break. 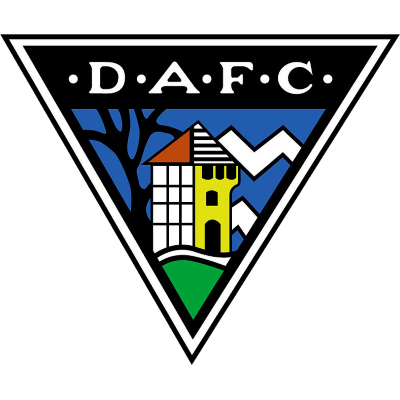 Dunfermline began the second half on the front foot, and in the first 30 seconds of the half Rachid Bouhenna was booked for fouling Myles Hippolyte on the very edge of the United penalty area. Hippolyte’s free kick was diverted wide by the United wall and the subsequent corner kick came to nothing. At the other end, a Fraser Aird corner kick from the left was cleared by Lee Ashcroft, and five minutes later Aird sent in a corner kick from the opposite flank. 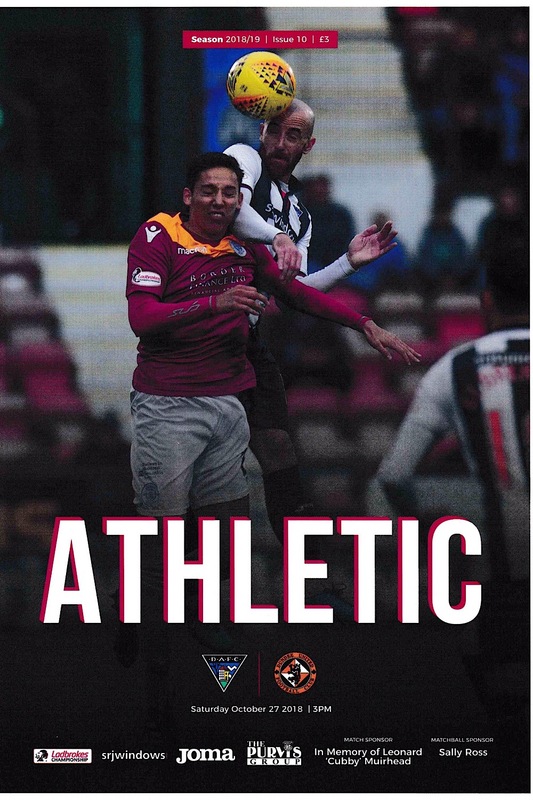 The kick was half cleared and Paul McMullan went down in the area sandwiched between two Dunfermline defenders, only for the referee to adjudge McMullan to be the guilty party and awarding a free kick to the home side. United doubled their lead on the hour mark, and it was a comedy of errors for the home side with them managing to gift possession to their opponents twice in quick succession. James Vincent made a mess of an attempt to control the ball in midfield and Fraser Aird was able to knock the ball forward. The ball was eventually intercepted by Jackson Longridge, although all the Dunfermline left back could do was gift the ball back to Paul McMullan. The United player broke into the box before squaring the ball to Billy King, who controlled the ball with his right foot before cutting inside onto his left foot and lashing the ball past Lee Robinson for his first goal of the season. 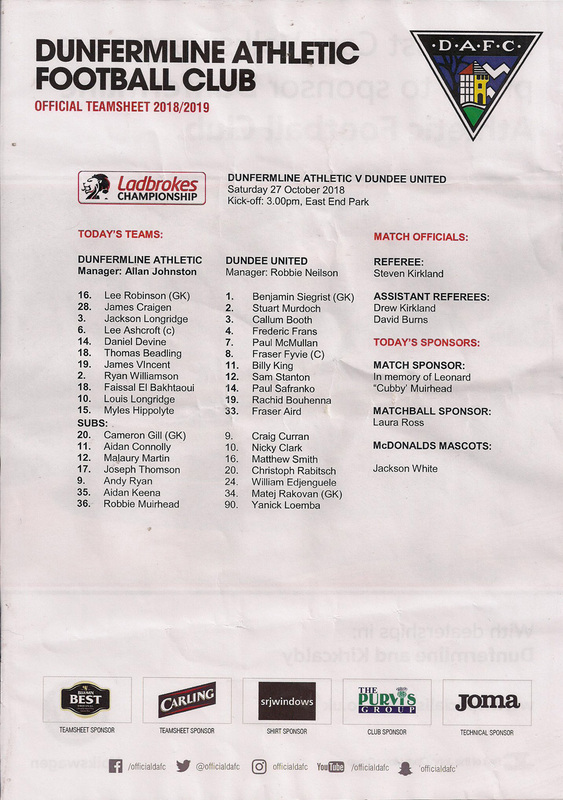 Dunfermline were looking a beaten side at this point, and United were able to rest the goalscorer King by replacing him with former Pars striker Nicky Clark, who managed to get himself booked within a minute of coming on. United were continuing to look like the side most likely to get the next goal, with Fraser Aird’s set piece delivery causing yet more problems for the home defence. The Canadian had two free kicks from out wide in quick succession that Lee Robinson was forced to punch clear, before a corner kick from the same player was headed wide of the far post by Pavol Safranko. At the other end, Dunfermline had a couple of chances on the break with Faissal El Bakhtaoui shooting wide from a Myles Hippolyte cut back before substitute Andy Ryan shot over from the edge of the United penalty area. With ten minutes left, United won a penalty after Ryan Williamson made a rather clumsy challenge on Paul McMullan inside the area. Despite captain Fraser Fyvie's attempts to get the ball off him, McMullan did take the kick himself, a decision which backfired as he missed the penalty, his shot hitting the outside of Robinson’s left hand post and going wide. United had another penalty shout a minute later after Sam Stanton went down in the area, but the referee’s decision to book the United midfielder for diving did look to be the correct one. There was a brief flurry from the Pars as they looked to salvage something from the game, but in truth they never really looked like getting back into things. With three minutes left Dunfermline substitute Joe Thomson forced a corner kick but fellow substitute Aidan Connolly’s inswinger from the right was easily claimed by Ben Siegrist. Connolly had another chance at a corner soon afterwards which Siegrist could not claim, and in the ensuing scramble Lee Ashcroft could only hit the ball over the bar. Andy Ryan had the final chance in stoppage time as he was played through on goal, but Siegrist did well to stick a leg out and divert the ball wide, ensuring a clean sheet for him and an ultimately comfortable 2-0 victory for Dundee United.